Tonight’s dinner is a delicious family favorite, Fideo. I grew up with this flavorful coiled vermicelli stewed with tomatoes, onions and garlic. in a large saute pan heat the oil and saute the onion until translucent. In a separate skillet toast the vermicelli slightly in a bit of oil. In a molcajete mash the black pepper, garlic and the cumin into a fine paste. Use any mortar and pestle or small food processor if you don’t have a molcajete. Add a few tablespoons of water to the paste and then pour it into the onions. Add the tomatoes or tomato sauce and the rest of the water and bring to a boil. Add the toasted vermicelli and cook uncovered until done and the broth is reduced. 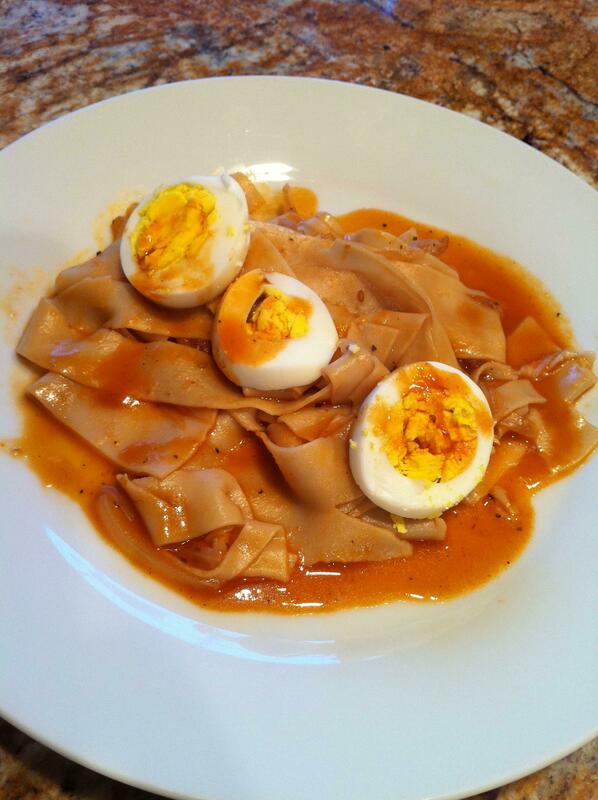 Hard boil the eggs, slice them and place them atop the cooked fideo. I grew up with the eggs being optional, but some families include the eggs religiously. ¡Buen provecho y acuérdate de tu familia!